Hello, and welcome to part two of our blog series on the most common mechanical repair issues that you will face as the owner of a BMW. At Kudos Import and Performance, we take a lot of pride in our maintenance and repair services. 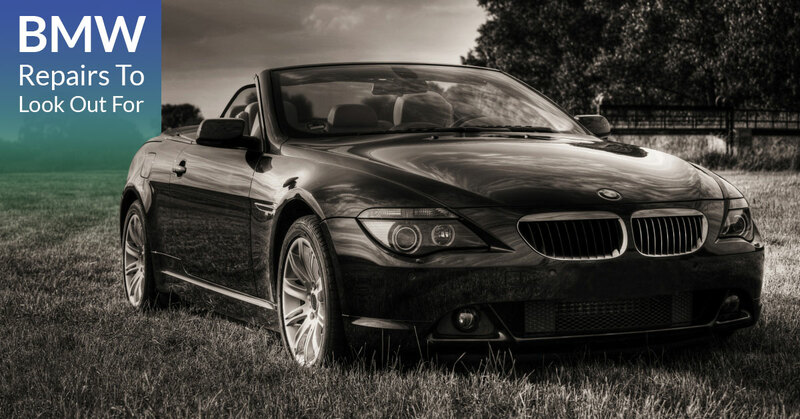 We feel that if our customers are willing to invest in luxury import vehicles, like a BMW, we have an obligation to provide them with the best level of automotive care that we can. Every time someone leaves our shop, we want them to be as satisfied as possible with the level of work that we provide. Part of this customer service-based approach to import auto maintenance is ensuring that our customers know what to look for in their vehicle that may be a sign of a bigger problem. In today’s post, we are going to continue listing a few of the most common issues that affect BMW’s in the hopes that you, the reader, will be able to prevent a major repair job before it happens. While some issues that affect your BMW will be more serious than others, all issues need to be attended to. BMW’s are not cheap and, as such, they should be expected to be 100 percent functional. Continue reading below to learn about a few more issues that are commonly experienced by BMW owners. Broken AC: While this issue is definitely one of the least important in terms of safety and overall vehicle performance, it can still be an annoying one to deal with. Chesterfield gets rather hot in the summer and if your BMW’s AC starts to fail, you’ll notice. Barring a freon leak, the most common reason for a BMW’s AC to suddenly stop working is the failure of the ambient temperature sensor. When this sensor fails, it reads a negative Fahrenheit value, meaning that it thinks your BMW is already receiving cold air. Before you spend large amounts of money trying to determine why your AC has suddenly stopped working, be sure to have this sensor checked out. Faulty Crankcase Ventilation System: If you have a BMW, your BMW has a crankcase ventilation system. This system, using a spring and a diaphragm assembly, control the pressure of the crankcase to maintain a slight vacuum within it. This slight vacuum ensures that the crankcase is venting properly during all operating conditions. If this system starts to degrade, you may notice that your BMW’s engine runs roughly or you hear a slight whistling noise. If you think that your crankcase ventilation system is malfunctioning, bring it into our experts at Kudos Import and Performance and let them take a look at it. Oil Leak: While oil leaks can occur in a multitude of spots, seal failure on the alternator bracket is a somewhat common occurrence in BMW’s. This seal fails commonly due to wear and tear on the engine and, if it fails fully, it will leak a significant amount of oil onto the engine of your BMW. We probably don’t have to tell you how bad an engine leak is but, just in case we do, they’re bad. Engine leaks can lead to a host of issues for your BMW’s engine and, if left unattended, can result in engine failure and permanent engine damage. If you suspect that your engine is leaking oil, please do not ignore it. Monitor your oil levels and bring your vehicle to an import maintenance shop such as Kudos Import and Performance, as soon as possible. While there are more issues that can affect your BMW, we feel that these are the most important ones for our Chesterfield clients to be aware of. If you feel that any of these issues may be affecting your BMW, please contact us today at Kudos Import and Performance. Our experienced staff will handle all of your BMW repair needs and will make sure that you get back on the road as quickly as possible. Don’t let a small issue turn into a big problem that will cost you even more money, contact us today to set up an appointment.